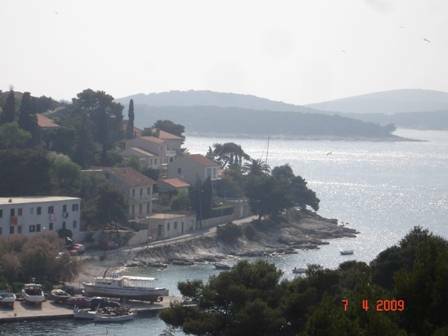 Welcome to Hvar, an ancient city with rich history. With its architecture, beautiful nature and mild climate many would describe it as a true fairy-tale city. When we add to the natural beauties, a high quality accommodation in our Vila Zorana and Mediterranean cordiality and courtesy city of Hvar becomes an ideal destination for couples', families' and parties' holidays. 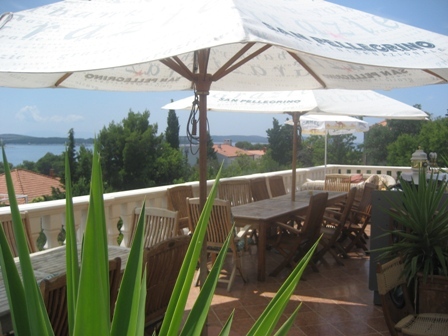 There is also a bar on a big terase in front of the house with a seaview where all guest hang out, relex, drink and have fun with us. We offer you the possibility to rent a scooter, car & boat, so you can explore the island and enjoy in its architecture and beautiful nature. Free internet access for all our guests. We love to pick you up at the harbor or bus station and transport you to our villa. 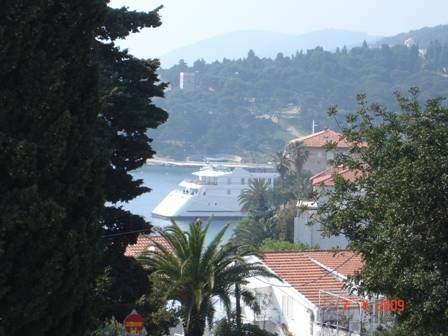 We will provide all information you need to know about Hvar, best restaurants, best beach clubs, bars and ecc. 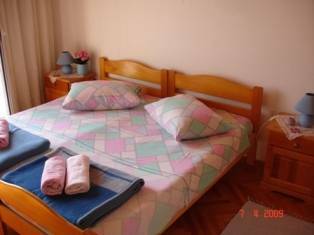 We promise that you will have a memorable vacation and pleasant stay in Vila Zorana. There is a 2 nights minimum nights stay for this guest house. We have sea view rooms with fans, apartments with full equipped kitchen and air condition and cheaper rooms without sea view. Every room and apartment has its own private bathroom. Apartment for four (Quad) can be suitable for 5 people also. 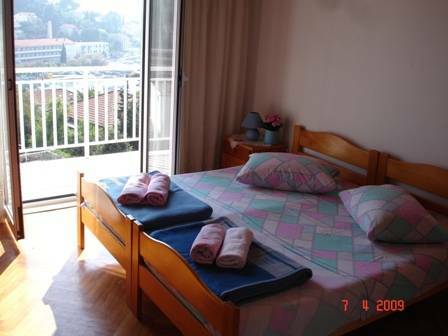 We can also put extra bed in double rooms and the extra person would get a discount. 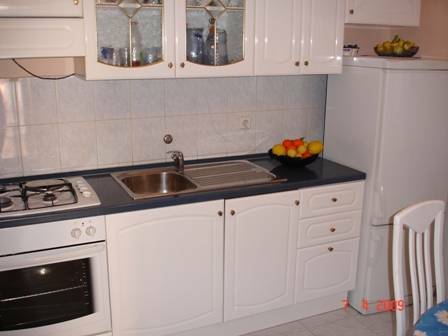 Apartment for four people has two big rooms, kitchen, balkony and sea view. It's the best apartment in Vila Zorana. From Catamaran: Once you exit the Catamaran you will make a right and follow the walk along the shore. Once you see a pebble beach that is right next to the Monastery, you will see six steps that are leading upwards to the right hand of a restaurant. You will continue to head upwards until you hit the main street Vrisak, where you will see our home on the corner. There is a big sign Apartments Skansi. That is our house. There is a triangle stop that you will see as well to confirm our location. If these direction seem confusing, they really are not. But have no fear we can arrange for one of us to wait for you on the port if necessary.